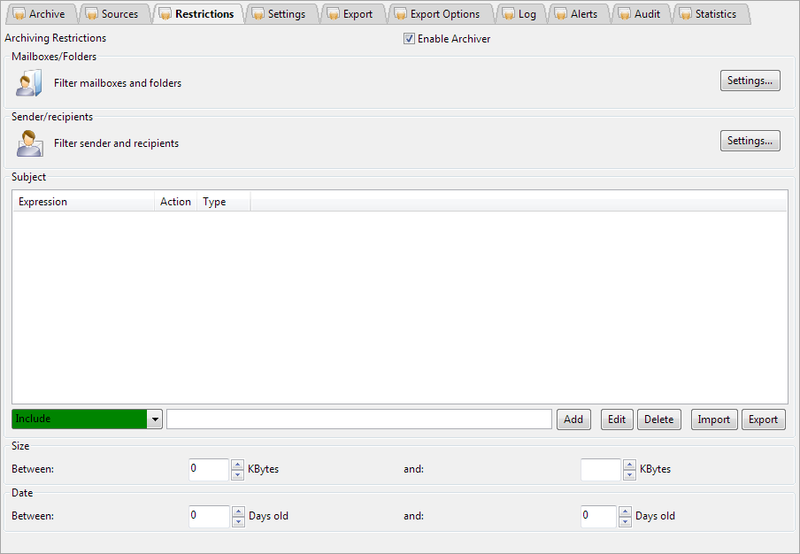 Using the settings on this page you can determine what is indexed into the archive and what is not. Press the Settings button to open the mailbox restrictions. Press the Settings button to open the sender/recipient restrictions.